It's been a hot minute since I've brought out another coffee break! And I thought now was about time to remedy that! We are officially deep into Winter here in the Northeast and pulling off cute office style is hard all year round so when Winter hits the struggle gets extremely real. Today I want to share my go-to Winter outfit for the office. I love this look because its classic and never goes out of style. I swear I wear this skirt wayyyy too much (probably once every week) but its always there for me when I want to look good! I like to pair the skirt with either a black v-neck shirt like I'm wearing or a soft gray turtle neck (I'll insert a pic below). I love accessorizing this look with my Jord Wood Watch. This zebrawood and navy watch compliments my skirt perfectly and it spices up my basic look. I love how unique Jord watches are and they add a little bit of character to every look. I teamed up with Jord to offer my readers a giveaway! 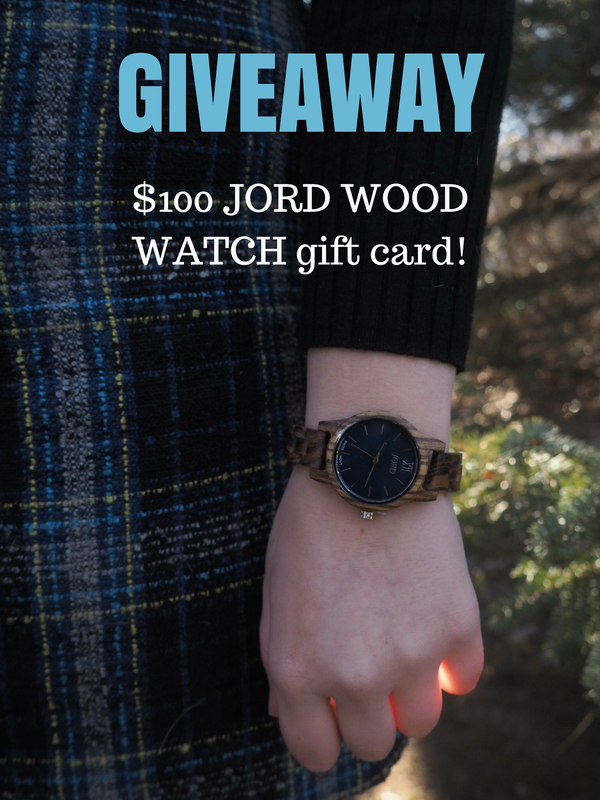 One special winner will recieve a $100 gift card for any Jord Watch and everyone who enters gets a $25 gift card! The giveaway ends February 5th so make sure you enter while you still have time! *This post was sponsored by Jord Watches but as always all opinions are my own. 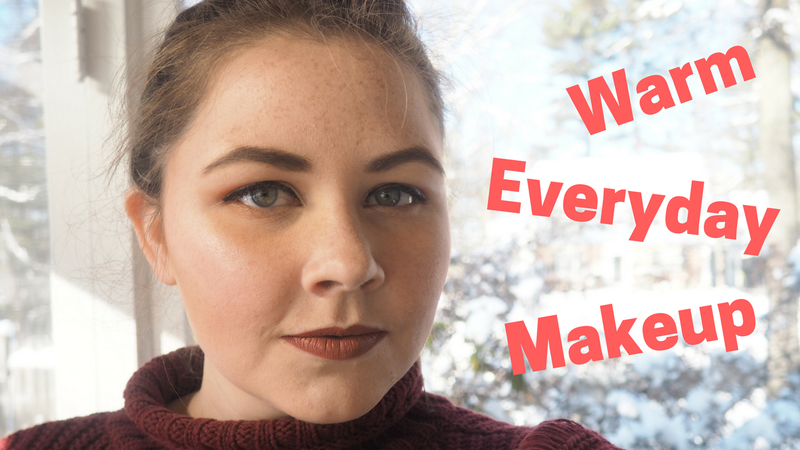 It's been a hot minute since I've updated my everyday makeup routine and for Christmas I got a few makeup items that I've been using constantly so I thought it would be nice to show you what my face has been looking like lately. If you want to see how I achieve this look watch the video below! Side note: I've been filming some videos lately but not really posting them to my blog. I wanted to know what you guys thought of making blog posts for my videos or if I should keep the two medias separate and if you like my videos or if I should stick to writing. Let me know in the comments! I love constructive criticism. If you've been around for a little bit then you may remember this past summer I started doing monthly challenges (including a water challenge and no added sugar challenge) that very quickly fell off the face of the Earth lol. Like many of you I didn't eat very well during the holiday season. There were a lot of heavy meals and cookies and various alcohols consumed. I decided its time to give my body a little reset, and I don't mean by a stupid 2 day juice cleanse that I seriously think does nothing. So, I decided I'm going to go vegan at least for the month of January. And I'm not talking about junk food vegan obvs. I'm talkin' plant-based, HCLF vegan. 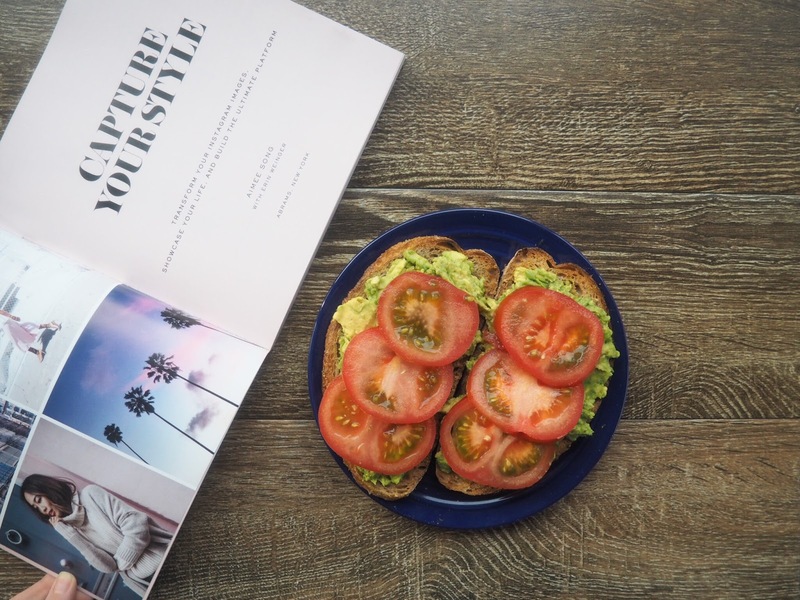 For the past few months I have been getting into fitness (check out my week in workouts) but completely neglecting eating well. I recently got an unlimited pass to a spin studio so if I'm going to be spinning every day I might as well help my body by feeding it the right nutrients. If any vegans out there have any advice for transitioning let me know! YouTube has been my best friend during prepping haha. Its January 1st, so you know what time it is! its yearly goals time. I know in the blogging and overall Instagram world that's a small nugget but I just reached 1k last week so I still have a long ways to go. Freshen up my blog theme. I feel like I'm changing my blog logo every 6 months which is a horrible branding strategy but I have yet to find a logo I am absolutely in love with. These past few months I have been all over the place with my blogging (and there was the fail that was blogmas). I feel like I've put a lot of energy into Instagram because taking and editing photos has really been what I've been drawn to and trying to write a blog post has seemed so hard recently. But this year I'm going to try to post 3 times a week, every week! This past year I went to my first blogger event, I think it was in October or early November? But anyway since then I've been to one or two other events where I clung to the two awesome girls I met at the first event and didn't socialize as much as I should've (because girls are scary lol). This year I want to go to even more events and make more of an effort to talk to new peeps. Now its time for the cliche. I really want to dedicate myself to getting healthy this year. I recently got an unlimited pass to a spin studio and I have a new monthly challenge that I'm going to be blogging about later this week (hint hint, nudge nudge). SO I feel like this could be my year! (says everyone, every year). What are your goals for 2017? let me know in the comments!